Well hello there, repulsive little brutes! Fancy seeing you here. It’s been a while since my last review; there has been two films that I haven’t had time or effort to review: Alice Through the Looking Glass which I thought was a bit rubbish. It and the first film had too much plot and reason in my opinion, whereas the original novels were iconic for being random and complete nonsense. And I also went to see Now You See Me 2 which I did enjoy but as a one-off kind of enjoyment. Was waiting for someone to say to Daniel Radcliffe “You’re a wizard” but no one did. Anyhoo, on with the review! Again spoilers dead ahead on this endless train of thought! Have you ever taken a joke too far? 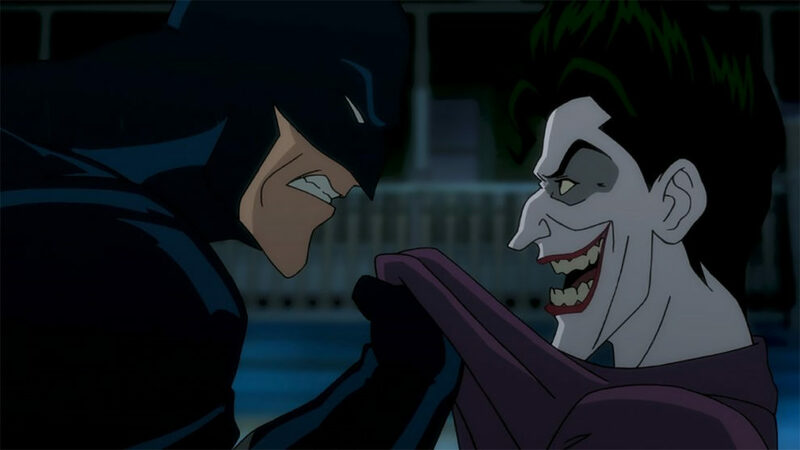 The infamous Joker has on many occasions but none as disturbing as in BATMAN: THE KILLING JOKE! 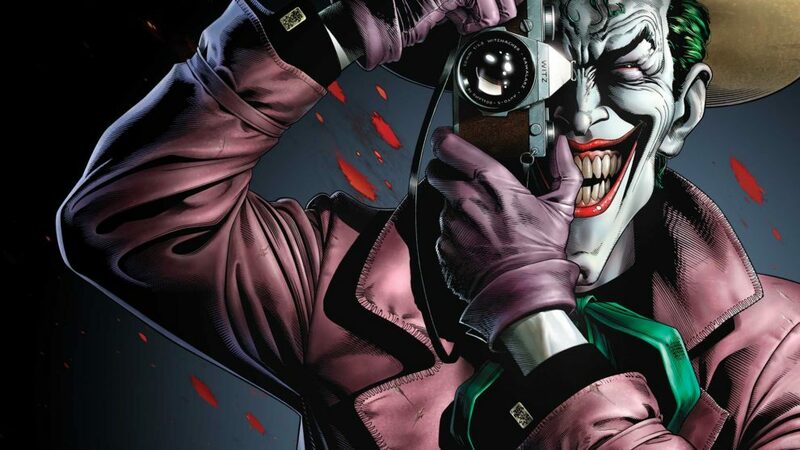 Regarded as the most popular origin story of the Joker, the Killing Joke also delves deep in the dark plot-lines from shooting/disabling Barbara Gordon, to photographing her stripped naked body, to forcing her father (Commissioner Jim Gordon) to face all these pictures of his tortured daughter. One bad day for sure with the Gordons, but it’s Jim, Barbara and Batman’s aim to endure these tests and do things by the book. Will either of them succumb to the madness? For this viewing my friend Anthony and I went to the Glasgow Fort Vue cinema, which I had never been to before. The screening of Batman: The Killing Joke was a one-off cinema viewing all across the world, so as you would expect many geeks congregated together to see this film. There were so many Batman/Joker t-shirts worn; I didn’t have anything relevant to wear so wore a light purple shirt, which was the closest thing I could get to! We eventually got past the swarm of nerds into the cinema and we actually had really good seats; slightly off centre, comfy, spacious – all the things you’d expect from a chair! And the picture and sound were amazing as well! But alas, it was the return of the Pics Prick: this time the people who laugh at parts not meant to be laughed at. Although to be fair to them, sometimes it wasn’t the audience’s fault; like the scene with the gargoyle looking over Batman and Batgirl getting it on. Or Batman talking about his very dark past that Barbara could never understand (like something Lego Batman would say for humour). You can’t help but give a giggle. Us privileged cinemagoers, also got two behind-the-scene videos; one video before the film on how Mark Hamill became the Joker and a film afterwards about the making of the music, which were both great! The whole film had three separate narratives: the newly introduced Batgirl prologue to begin the film and the two sides of the Killing Joke story; the main story of Joker trying to break Commissioner Gordon and Batman, and the flashbacks to how the Joker came into being. I’ll start by talking about Batgirl’s prologue; I personally thought this was a great addition to the story, even although many reviewers thought otherwise; thinking it was cliché of Batgirl to have it away with Batman. I personally found it surprising because Batman has always been more of father figure to Batgirl, Robin, etc whom they’ve always been eager to impress. But the main reason I really liked the prologue was because it gave us more of an emotional attachment to Barbara before Joker shoots her. It also gives Batman more reason to think about Joker and how things are going to end between them. This forms a good link to get straight into the Killing Joke section; they are quite separate sections and don’t really blend together, but still fit perfectly next to each other. Although during the prologue if Joker would appear early and shoot Barbara, which slightly distracted me but nothing to get mad about. It was well worth the wait though. The scene with Barbara being shot was brilliant; just spine-tinglingly horrible! Firstly, time stops at the realisation of the Joker with the gun, and when she is shot everything goes into slow motion. It’s such an iconic moment in the story, it’s the defining moment of the graphic novel and film overall. It’s probably why it hasn’t been made into a film before because this is such a vital part to the story, and they did it brilliantly. The music throughout this film was great too and especially added to this ghastly moment! It definitely emphasised the horror in all the scenes giving tension and the shivers of terror. And of course the brilliant voice performances from Mark Hamill as the Joker and Kevin McCoy as the Batman was one of the biggest reasons I wanted to see this film. I loved their voice acting as these characters in the Arkham video games and it was great to hear them reprise their roles in this film. I actually forgot Joker sings at one point to Gordon in the graphic novel; and with Mark Hamill behind the voice, it fits really well with its sick and twisted lyrics. ‘Simply looney!’ Showing how mad the Joker really is, and it becomes even more disturbing when Joker shows the photos of stripped Barbara to Gordon. My one worry for this film though was the visual look of it; the graphic novel was visually stunning and I really like that the panels of the book were almost identical to the shots and layout in the film, but it had that TV cartoon style for it which was a bit of let down compared to the detail of the drawings in the novel. Now the question is…did Batman kill Joker in the end? In this case, the film did a better job than the graphic novel with the cliff-hanger ending as it pans away from the two of them laughing. When they are out of view, it is then just Batman laughing which wasn’t clear with the novel! The both seemed to ‘break’ each other in the end; Batman offers to help Joker who is understanding but knows it’s too late for him. And Joker tells a joke which both of them laugh about. It’s even more eerie with Batman laughing than Joker as you never hear him express emotion like that and then it cuts to black. I personally think Batman gave in and killed Joker; so theoretically this story is the beginning and the end of the infamous Joker. Batman vs Superman: Dawn of Justice was supposed to be the superhero film of the year for DC Comics (I’m not even going to compare it Deadpool or Captain America: Civil War), but it seems like Suicide Squad is going to be the film that’ll get all the hype for DC Comics. It’s releasing on the 5th of August in the UK, so not that long away! In fact I’m actually going tonight to see it at the midnight showing! Look forward to seeing Jared Leto’s Joker! And at the San Diego Comic Con only a few weeks ago we got trailers for two more upcoming DC Comics films! Firstly was the Justice League trailer; it looks like they’ve learned from their previous mistakes and are becoming a bit more light-hearted. Although Flash seems a lot like Spider-man in Civil War looking up to Batman like Iron Man, and he’s trying to be the humorous youngster too, but his awkward jokes are…well…awkward. 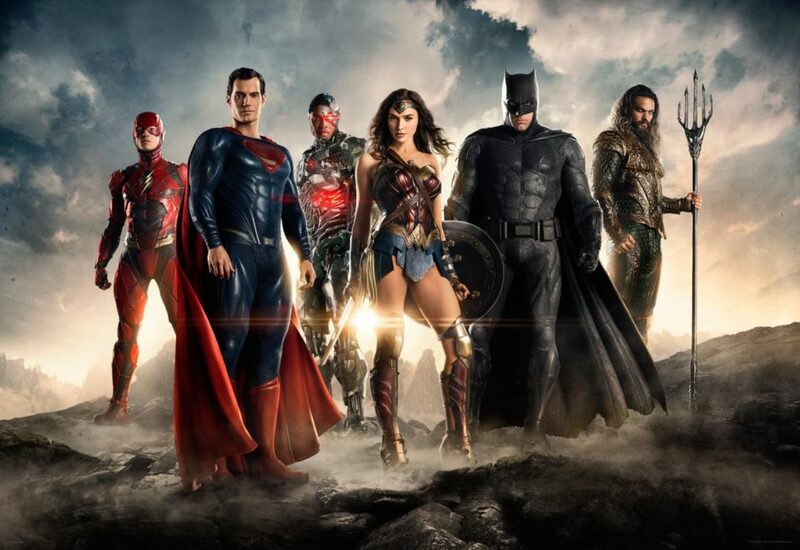 I’ll still probably go and see it, but I’m not sold on the Justice League film so far. And the second DC Comics trailer to be shown was Wonder Woman which looks exactly like Captain America: The First Avenger. Set in the World War, the red and blue, her shield, fighting for her country…they should have called it Wonder Woman: The First Justice Leaguer. I have to say though I’m more intrigued for this than Justice League, but I don’t think either or are going to compare to Suicide Squad. One of my favourite bits of dialogue in The Killing Joke is Joker trying to convince Gordon that memories are dangerous and that madness is the emergency exit. I’ve always wanted to memorise this quote and try to perfect a Joker impression of it. I’m quite good at impersonating Mark Hamill, Troy Baker and Heath Ledger’s Jokers and I’m very close to mastering this quote. Furthermore, my friend Anthony and I have decided to create a quick short film out of it in tribute to this brilliant character, so keep a look out in the next few weeks. Will be sure to post it on my website! Well that’s the end of another review. The Glasgow Fort Vue cinema was great; the seats, the screen and sound! 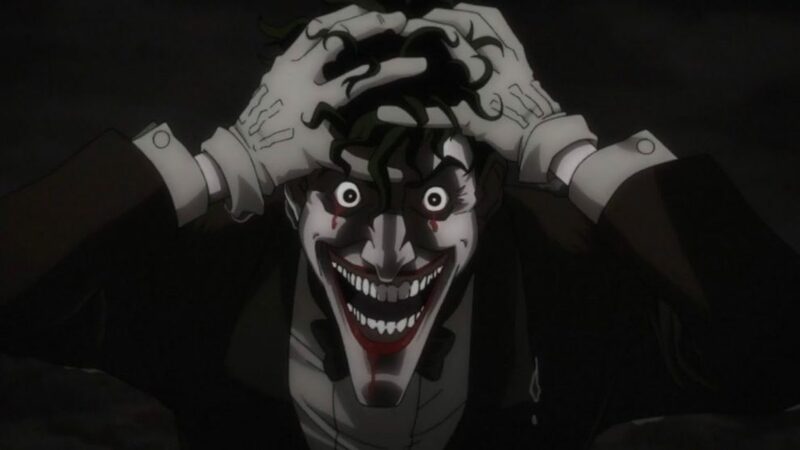 It was definitely worth seeing the Killing Joke at the cinema to get all the loud, spine-tingling music and the haunting Joker voice and laugh! 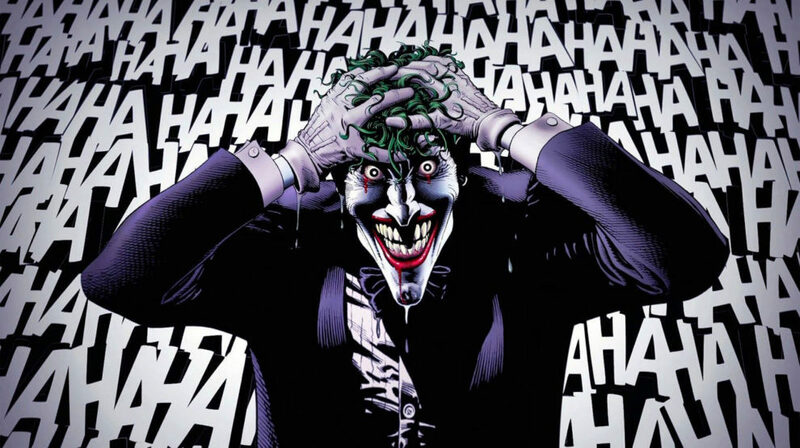 The Killing Joke was amazing too especially with talents of Mark Hamill. My only complaints are the cartoon visuals and the parts that weren’t supposed to be laughed at. But overall it was a good experience and even got a small complimentary Joker figurine to take home. That’s me for now. Hopefully I’ll be back soon with a Suicide Squad review; I’ve got high hopes for this one – it better not be a let me down like Batman vs Superman. Until then, that’s all folks! …hehehehe!! !